Opal is a unique and beautiful gemstone. The opal has been described as containing the wonders of the skies, sparkling rainbows, fireworks, lightening, the gentler fire of the ruby, the rich purple of the amethyst, and the sea-green of the emerald. Opal’s lore is as colorful as the opal itself. 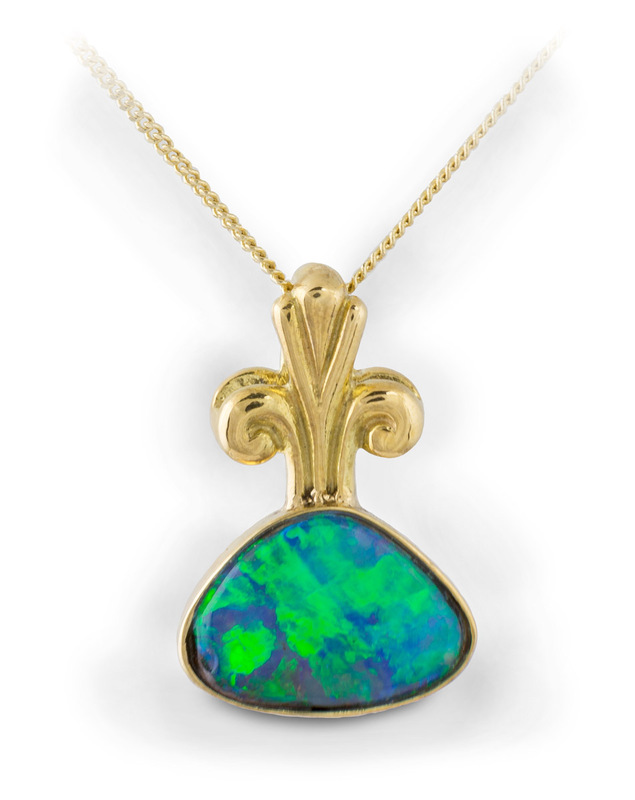 The ancient Greeks felt that the opal gave foresight and the gift of prophecy to the wearer. The Romans believed opal was the symbol of hope and purity. In fact, Pliny, the ancient Roman scholar in about 70 A.D., wrote that opal had the fire of the ruby (or the carbuncle), the brilliant purple of the amethyst, and the sea green of the emerald all shining together in incredible union. Opal was thought to prevent disease and to strengthen one’s sight. Opal lore also provided the spirit of truth and the perfection of beauty. In the Middle Ages opal was thought to preserve blond hair. Also opal was thought to lose its luster when its owner died of the plague. The Arabs believed opal to be a gift from heaven that would fall in the flashes of lightening. Care should be taken to protect it from scratches, sharp blows, household chemicals, and extreme temperature changes. To maintain the brilliance of opal, it should be wiped clean with a soft cloth. Do not use a home ultrasonic machine or jewelry cleaner. 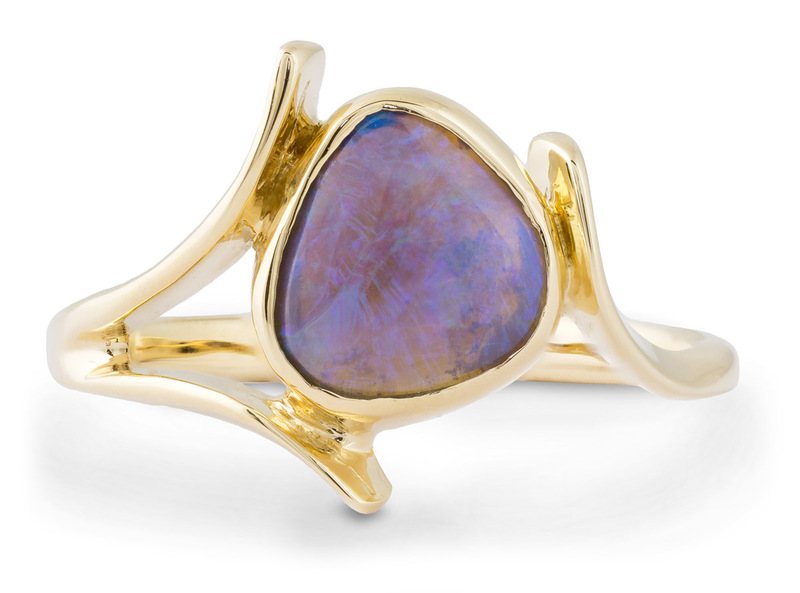 The value of an opal lies in its body color. 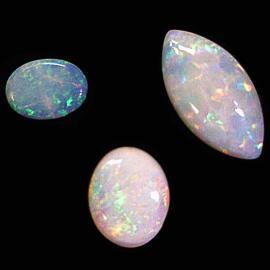 When opals contain a perfectly aligned grid of silica sphere, they show color. The color’s strength depends on background colors and the transparency of the gemstone. Since there are a variety of body colors, there are a variety of different opals. 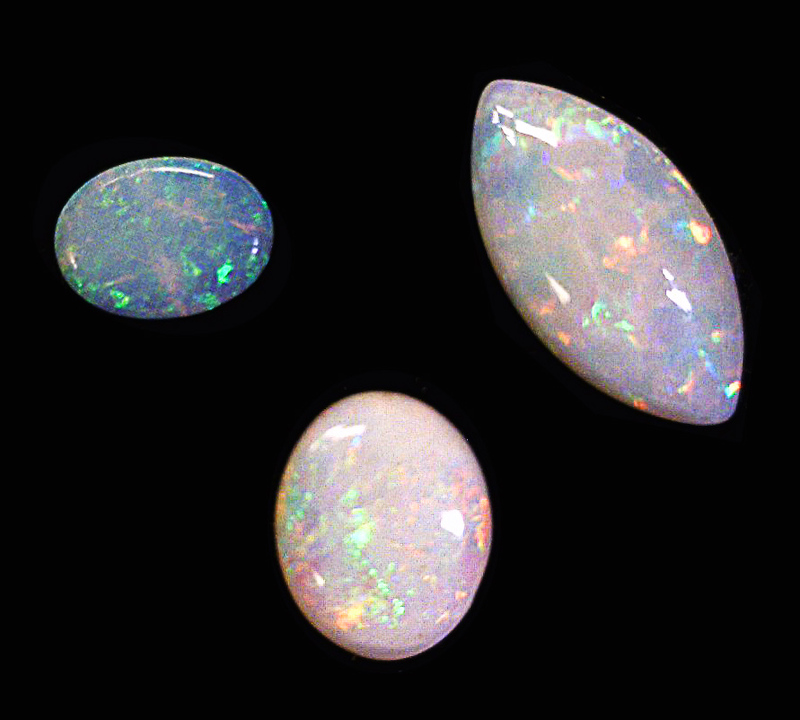 Some of the most valuable opals are a dark gray to blackish colored body. This is known as black opal. 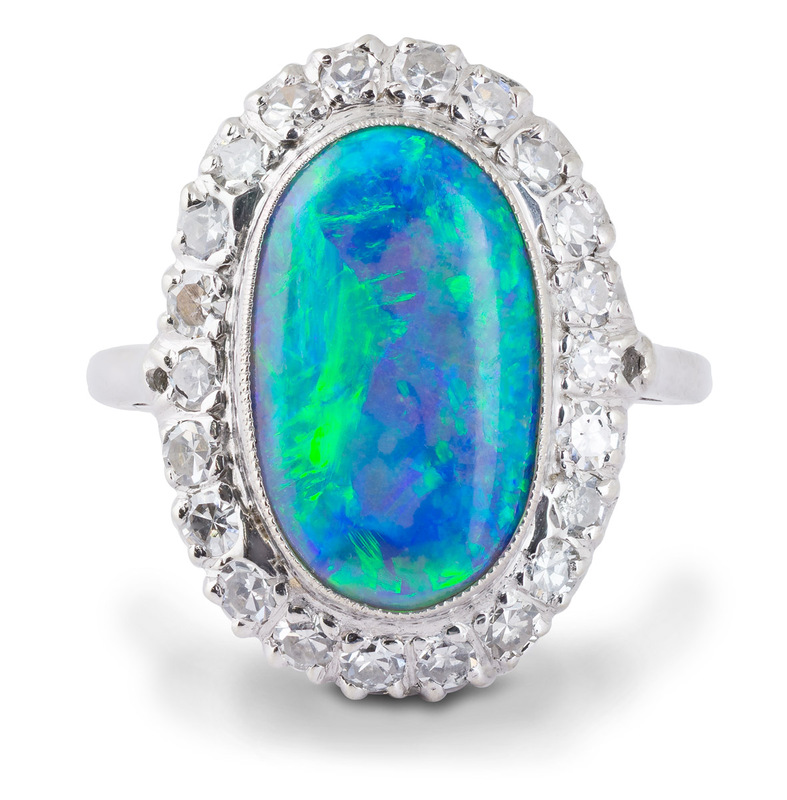 Desired for its brilliant colors, the black opal is only found in Australia’s Lightening Ridge and Mintabie. Another valuable opal, the crystal opal, is known for its transparency and the brilliance of its colors. The crystal opal’s value lies in the fact that it has many layers of color within the stone. I have a lot of rough opal stones I was wondering how much they would be worth? Hi Joe, thanks for reaching out to us. At this time, we do not buy rough opal. I would recommend you contact a local gem cutter or lapidary to see if they would be interested in them. Hi Joseph, good question. Yes, black opal (like white opal) actually has many colors and varieties. For example, checkout these black opal pieces we have available for sale right now: Vintage Black Opal Ring With Diamond Halo and Asymmetrical Black Opal Bezel Solitaire Ring. I have 4 opal stones …necklace two opals and pair earrings pinky nail size looking to sell. Appx value and interest. Hi Penny, thanks for reaching out to us. We would potentially be interested in those opals. If you could email us (service@mygemologist.com) some pictures of the pieces, we can give you a better idea of what they might be worth.